This ranch home in Homestead reflects classic taste and sophistication. Call it a 5 bedroom or 4 plus a home office. Yes, there’s over 3900 sq ft. of incredible space. This is a home with everything you expect, including the most beautiful wooded setting near the end of a cul-de-sac. Huge family room on the lower level, walkout to the patio and great storage. The sunroom on the main level will be your favorite spot. There’s even a 3rd garage under the house for your lawn mower and tools as well as a tool room. http://askadvantage.com/wp-content/uploads/2017/11/ARE-Website-Header-Logo-01-01-300x138.png 0 0 Jane Loeber http://askadvantage.com/wp-content/uploads/2017/11/ARE-Website-Header-Logo-01-01-300x138.png Jane Loeber2016-07-13 19:10:192016-07-13 19:10:19Want a Private Setting? Love those Stately Brick Homes? Located at the end of a dead-end street with woods as your back and side neighbor you’ll find this fine home at 719 Flower Lane in Moberly, MO. There’s plenty of room in this spacious 3 story home – over 4000 sq feet plus unfinished walkout basement! A huge, I mean huge formal dining room too! A HUGE country kitchen was a selling point for this home! You’ll enjoy the screened in porch overlooking a woodsy view! In-ground pool ready for some summer fun! 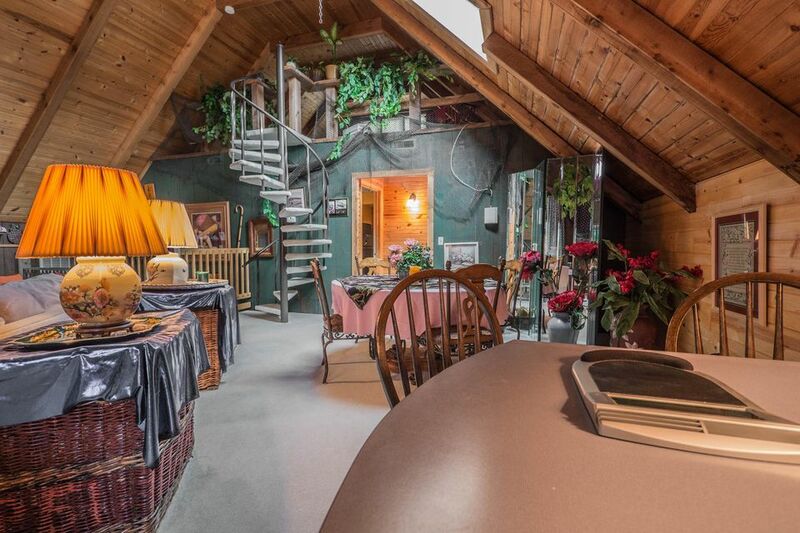 The 3rd floor can actually be an in-law suite or apartment for a college kid, or a really cool ”Narnia” type escape; you decide! There’s lots of charm and character you just can’t duplicate! Check out the virtual tour and floor plan with this link! http://askadvantage.com/wp-content/uploads/2017/11/ARE-Website-Header-Logo-01-01-300x138.png 0 0 Jane Loeber http://askadvantage.com/wp-content/uploads/2017/11/ARE-Website-Header-Logo-01-01-300x138.png Jane Loeber2016-07-08 17:31:392016-07-08 17:31:39Stately Brick Home!! I learned a really cool thing today…saw it in the newspaper, the Moberly Monitor Index! The Moberly library has launched an online legal form service for its patrons. I searched on Google “Moberly Public Library” and found the website (this almost seems like cheating, it’s so easy)! Then on the front page of the website was an article about the new legal form services being offered. I found my library card (yes, it’s been awhile), entered my card number, name and information and created my user name and password. I’m hoping this is useful for many of our friends in the area! Feel free to share! http://askadvantage.com/wp-content/uploads/2017/11/ARE-Website-Header-Logo-01-01-300x138.png 0 0 Jane Loeber http://askadvantage.com/wp-content/uploads/2017/11/ARE-Website-Header-Logo-01-01-300x138.png Jane Loeber2016-07-05 18:52:182016-07-08 14:23:51Did you know? 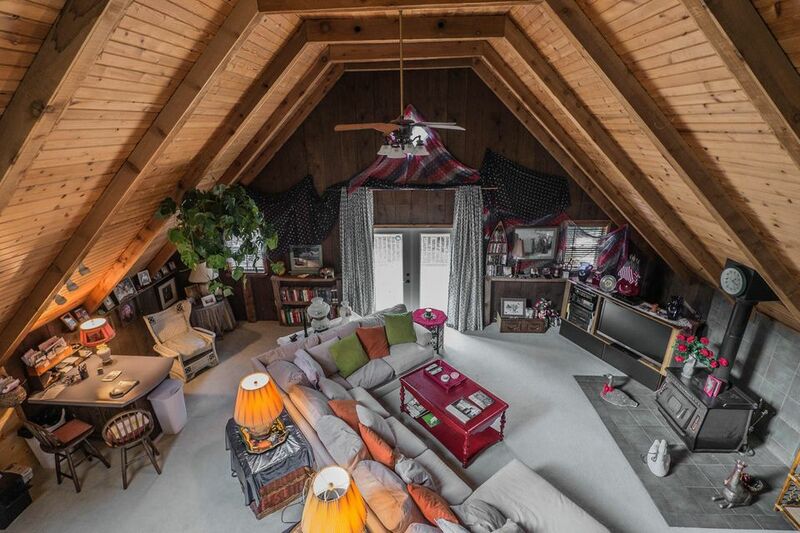 Private Chalet on Sugar Creek Lake! This is a one-of-a-kind opportunity to own your piece of heaven on earth! The owners love the private setting! You see, it’s located on a hidden corner of the world, atop a hill. 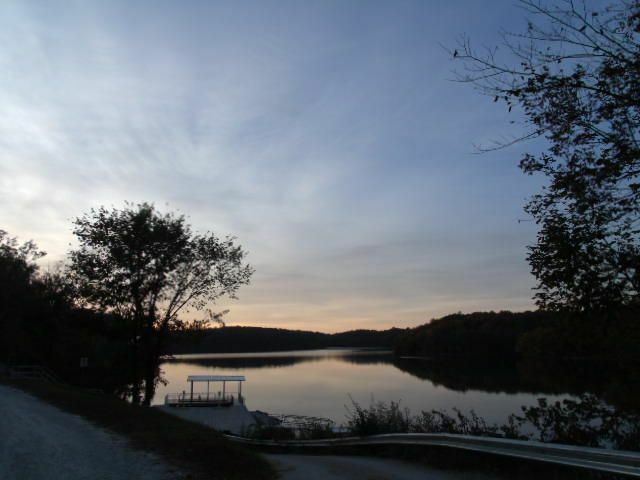 The lake views are amazing, the sunsets even better! 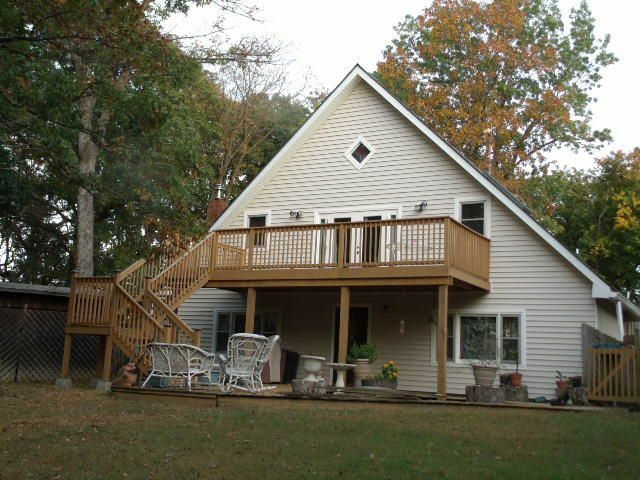 This 4 BR 3 bath A-frame has a huge great room on the second level with a walk-out deck cascading to a patio area below. It’s a great area if you love to entertain! The second level can also be accessed from the back side via ground level, which make this perfect for an in-home office setup, in-law setup or a simple way to access the second level with no stairs. Tranquil setting with complete privacy, surrounded by trees and awesome view of the lake. You may even catch a view of the bald eagles that nest on the lake! There’s a public boat ramp nearby too! Two bedrooms on the ground level, 2 bedrooms on the second level, and a loft for who knows, another adventurous bedroom area? The annual Railroad Days event kicks off today, June 7th and runs through June 11th. This year Moberly is celebrating its 150th birthday! The event is free and is open to the public. It’s such a hit in our area, because it’s a small town fair; sort of a heritage festival for our community… People can bring their kids, there’s carnival rides (there’s a cost for this), great food vendors, and other special events to watch and participate in! Armbands for Railroad Days Carnival will be available at a discounted rate of $20 at Art’s Appliance and Moberly Area Chamber of Commerce Monday Tuesday and Wednesday during normal business hours. They can be redeemed at the carnival for all you can ride during any of the night sessions or Saturday afternoon. Armbands are $25 Starting Wednesday evening and will be available at the ticket booth. Tonight the Moberly Community Theatre presents “The Follies.” It’s a ticketed event held at the Municipal Auditorium. Song, dance, comedy, and story. “That’s Entertainment.” Let the memories live again! Tickets are available at the Moberly Area Chamber of Commerce office or at the door. Don’t miss this year’s Sycamore Queen beauty pageant where guys with great big hearts dress real fancy to raise money for their favorite charities. Thousands of dollars have been raised for American Cancer Society, Safe Passage, and many more over the 10 plus years of this fun event. Saturday June 11th at 5pm on the Railroad Days Stage. http://askadvantage.com/wp-content/uploads/2017/11/ARE-Website-Header-Logo-01-01-300x138.png 0 0 Jane Loeber http://askadvantage.com/wp-content/uploads/2017/11/ARE-Website-Header-Logo-01-01-300x138.png Jane Loeber2016-06-08 14:05:322016-06-08 14:05:32Railroad Days! http://askadvantage.com/wp-content/uploads/2017/11/ARE-Website-Header-Logo-01-01-300x138.png 0 0 Jane Loeber http://askadvantage.com/wp-content/uploads/2017/11/ARE-Website-Header-Logo-01-01-300x138.png Jane Loeber2016-06-06 16:57:492016-06-06 16:57:49Market Update!!! Just a note to let you know how we may be able to help you or someone you refer to us. Tony and Joanne were considering remodeling and adding on to the back of their home, but were concerned that they might be over improving the property for their street. They called us for a consultation. Our full time real estate expertise combined with state of the art technology allowed us to compare the final cost of their plans versus the current and projected market value of their home. We found that their plans for expansion would cost more than purchasing another home with similar square footage and amenities. If you know of someone in a similar situation who just wants to learn and explore their options, please let us know. Remember, everyone wants to live in the best house on the street, but no one wants to pay for it! This is a public service announcement for residents of the city of Moberly, MO. I continue to meet many people who are still unaware of an ordinance with the city pertaining to window replacement. When occupancy changes in a residence within the city limits, either due to sale or rental, the occupant must have an occupancy permit in order to obtain water service. In order to obtain the occupancy permit, the inspector from the Fire Department will come out (at a $45 cost) to inspect the premises. Among other items, if any bedroom windows have been replaced since original construction of the house, at least one bedroom window in each bedroom needs to meet egress code in order to pass the occupancy inspection. We’ve had two homes we’ve sold very recently inside the city limits that the owners had already spent thousands to replace their windows. Make sure your contractor checks with the City authorities to make sure the right size windows are being installed before they get purchased and installed. It’s a sad day when replacement windows have to be replaced in order to obtain an occupancy permit. This most probably pertains to TV and internet companies selling windows to our residents who are unfamiliar with our codes. Help us spread the word! Call our office at 660-263-3393 and we can provide the inspection list and contact information. http://askadvantage.com/wp-content/uploads/2017/11/ARE-Website-Header-Logo-01-01-300x138.png 0 0 Jane Loeber http://askadvantage.com/wp-content/uploads/2017/11/ARE-Website-Header-Logo-01-01-300x138.png Jane Loeber2016-04-12 15:12:442016-04-12 15:12:44Windows need replacing? Dress Up Your Outside Too! Springtime is here and what better time to share advice I’ve learned over the years. My husband studied agronomy in college and taught me many things about lawn maintenance. Each spring we (I?) fertilize early with crabgrass preventer. It’s time now to do so before the little sprouts emerge from the ground. This will green up your yard in an amazing way! Some consider this punishment. But if you’re selling your house, you also need to appeal from the street view. Is your lawn full of weeds, dandelions and clover? Spend a little time here. Invest in a sprayer that hooks up to your garden hose and spray the Weed B Gone type chemical directly on the grass. This will kill the clover and dandelions, chickweed too. All those pesky weeds that sprout up within two days of mowing and make your lawn look like you haven’t mowed in weeks. Instead let’s go for lush and inviting. The alternative is you can hire a lawn care service. When we last moved 4 years ago, my husband fertilized about this time of year and mowed the grass religiously, especially right before a showing. I truly think it helped appeal to the person who bought our house. The bonus is that once the fertilizer slows down, you actually don’t have to mow as often to achieve a neat lawn because there’s no weeds to mow! Just a simple tip this time…Call me if you need some encouragement in this area. I might even let you use my sprayer. http://askadvantage.com/wp-content/uploads/2017/11/ARE-Website-Header-Logo-01-01-300x138.png 0 0 Jane Loeber http://askadvantage.com/wp-content/uploads/2017/11/ARE-Website-Header-Logo-01-01-300x138.png Jane Loeber2016-04-06 14:25:352016-04-06 14:25:35Dress Up Your Outside Too!